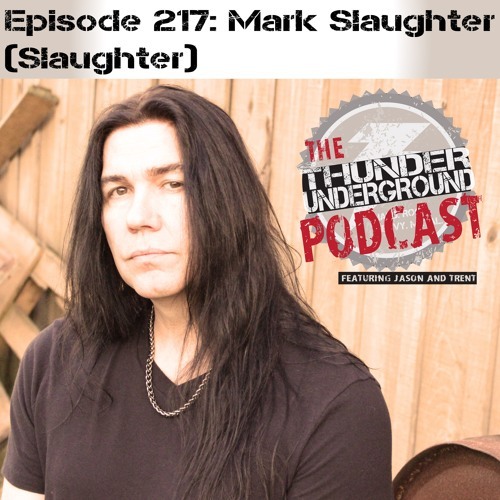 In this episode we are joined by Mark Slaughter. Mark talks to us about his solo music, writing solo, writing with Dana Strum, working with Jeff Blando, Zoltan Chaney, Blas Elias, and Tim Kelly, working with EMP, playing festivals, music cycles, is early days as a guitar instructor and vocalist, performing with a barber shop quartet, Rocklahoma, Vince Neil, struggles with music labels early on, and a ton more! We kick the show off with a song from The Midnight Devils, and talk about some of our favorite Slaughter music. Thanks for listening, and please share! #Slaughter #podcast #AllKillerNoFiller This episode is brought to you by DEB Concerts. Follow the Streets Gone Wild page to get updates on upcoming shows from Snoop Dogg, Rocklahoma's D&B Processing Stage, and more! This episode is also brought to you by Med Pharm. Follow their Facebook page and visit medpharmok.com to find out why they are “Cannabis With a Cause.” 30% of profits go towards building no-kill animal shelters in the area. They have a wide selection of products, and they have a doctor on site every Friday and Saturday. Mention Thunder Underground and receive 10% off on your first purchase! Become a Thunder Underground #patron on Patreon: www.patreon.com/thunderunderground Listen to us every Monday night at 7pm CST on 102.7 WSNR, and stream us anytime everywhere podcasts are heard.